Renewable sources are of major importance in Austria that has proven to be a dynamic energy market, whether with respect to hydro, solar and wind power. With a favorable environment for renewable energy installations, Austria has already achieved significant cost and carbon savings across the Country. Alongside the environmental benefits, the ongoing development of sustainable energy technologies makes also a significant contribution to the national economy, since renewable fuels provide new solutions to key problems of environmental policy, energy management and other issues. Although a small Country, Austria is among the leading European Member States in terms of the share of renewable energy in its energy mix and its companies’ research labs and development centres produce technologies whose efficiency, quality and environmental standards have proved themselves all over the world. As pushing forward renewable energy technology has always been a high priority for Austrian federal states, in 2016 Lower Austria has gone all in on clean energy with 100% of its electricity generation from renewable energy. “Since 2002, we have invested heavily to boost energy efficiency and to expand renewables”, said Erwin Proell, former Premier of Lower Austria. 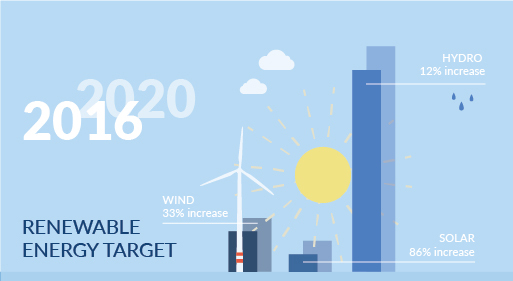 In line with EU regulations, Austria has set the target to reach 34% share of renewables in the energy mix by 2020. At the present, the clean energy sources account for 32.5%, putting the Country well on track to reach its goals. Number one in Europe when it comes to utilizing hydropower, Austria has more than 670 run-of-river power plants and about 1.800 small-scale hydropower stations in operation, which generate about 60% of electricity needs. “Although, hydro power will continue to be the core renewable source, among the so-called new renewables, I think that – in the short term – wind energy will be a leading technology in the Austrian market. While – in the longer term – domestic photovoltaic installations will definitely become the biggest source of energy, as it is already happening in Vienna with the growth of solar rooftops”, notices Mr. Richard Distl, Managing Director and Head of technical operations at ImWind Technik GmbH. Across the Country, wind power accounts for 2.6 GW of installed capacity and solar energy has increased almost four times over, within a period of only eight years – from 2002 to 2010 – reaching almost 1 GW of installed capacity. “Austrian wind energy industry is growing, especially thanks to the constant operations of small independent power producers. They are becoming more professional and aware that producing energy is more than investing money, keeping up to the responsibilities and the legal obligations that you have as power producer”, highlights Mr. Distl who continues saying: “This is changing the mindset of renewable energy players in the market together with the higher importance of understanding, analysing and giving the right value to power plants’ big data”. The growing need for energy and the associated increase in environmental problems are leading to ever greater demands for a radical transformation in Austria’s power system. Within this scenario, BaxEnergy helps energy players with advanced turnkey solutions in order to create a sustainable energy system supported by smart technologies. 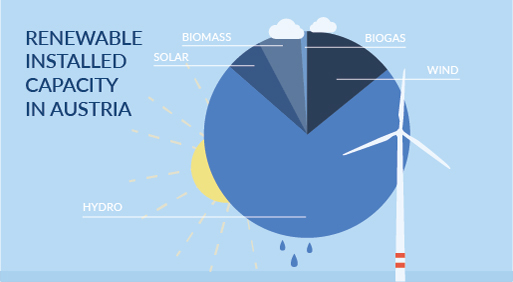 By closely collaborating with customers and partners, BaxEnergy has already broken the record of 1 GW of wind power monitored, covering 45% of the wind energy market. “BaxEnergy plays a fundamental role in Austria and I believe that key asset for its growth is to continue offering consultant services and strong support to customers with the aim to exploit and leverage Energy Studio Pro® full potentials and capabilities, customizing it in a way that really help daily business processes”, concludes Mr. Richard Distl.